JAXLORE | The Technics 1200 Is Back! 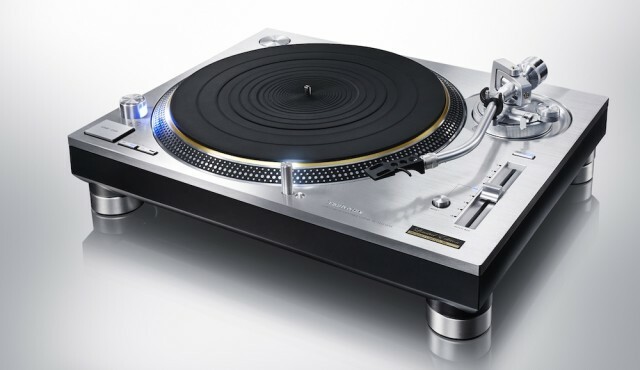 The Technics 1200 Is Back! Panasonic has brought back the 1200 and it is looking good. With several enhancements for sound dampening and the elimination of the permanent RCA cable we will be dancing in the streets. I am also hoping this will drive the prices of parts back down so we can keep our existing 1200s moving and a grooving! Check out djtechtools article for the full run down of improvements. No word on the price yet but you can bet with the surge in turntable sales Panasonic wants there share so you better start saving. This entry was tagged 1200, technics. Bookmark the permalink.